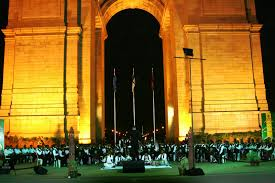 Territorial Army Symphony Band enthrals spectators and tourists at India Gate with melodious and scintillating tunes on 13 and 14 October 2018. Military bands have always been synonymous with exemplary discipline, impeccable attires and exquisite music. The Territorial Army Symphony was raised in 2009, with band members selected from various Territorial Army units from all regions of India and collectively given training in various musical instruments. 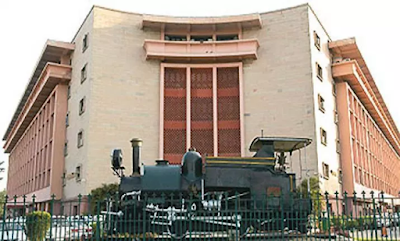 At present, the symphony band consists of more than 40 musicians playing Brass, Strings and Indian classical instruments. This symphony band is a representation of 'Unity in Diversity' which is the essence of 'Territorial Army' also popularely known as the 'Citizens' Army'. As part of the Territorial Army 69th Raising Day which is celebrated on October 09, 2018, the Territorial Army symphony band played at the iconic India Gate on October 13 and 14, 2018. The event was organised showcasing the rich tradition of the Territorial Army, through variety of melodious tunes from contemporary to traditional music. The fusion of Indian traditional with western music enthralled the crowd which congregated in large numbers drawn by the scintillating performance of the band. The harmonious music at the backdrop of the monumental India Gate watched by thousands of enthralled music lovers added a patriotic fervour to the entire event and was a fitting tribute to the memories of all the gallant soldiers who sacrificed with their lives to safeguard this great Nation.